Reports, research and surveys covering piracy-related issues have been released in their dozens in recent years, with many of them painting a picture of two distinct groups of people – those who illegally download and those who pay for content. Of course, the reality is that many people who obtain content for free also cheerfully pay for content too. 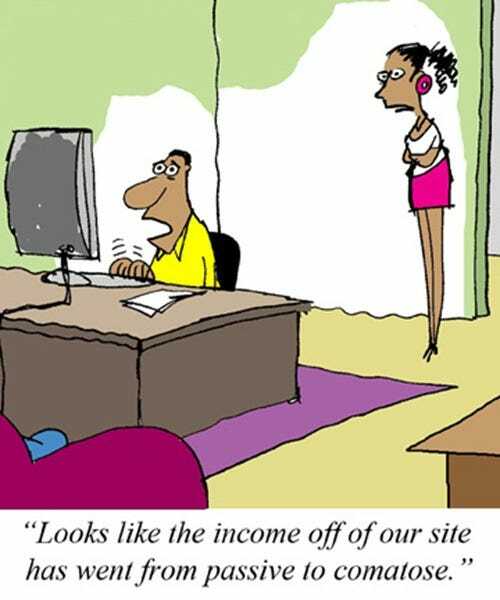 In fact, some studies have found that the entertainment industry’s best customers are also illegal downloaders. But what if there was evidence to suggest that some of those pirates were actually the very people helping to create movies and TV shows? That’s one of the intriguing findings of a survey carried out by Stephen Follows, a writer and producer with a keen interest in discovering what makes the industry tick. Follows first set of questions focused on whether the film professionals felt that piracy had affected their business. The responses were then split by industry sector and budgets the professionals work to. Considering the anti-piracy rhetoric coming out of Hollywood during the past thirty years, it’s perhaps surprising that 53% of all respondents said that piracy had either no effect or a positive effect on their business. Respondents were from all sectors of the industry including development, production, post-production, sales and distribution, exhibition and marketing. When the responses from each sector are broken down, one can see that respondents in sales and distribution – arguably the role that file-sharing fulfills – say they are most worried by piracy. Turning the tables to discover how the industry professionals are themselves affecting piracy rates couldn’t be approached directly for obvious reasons, so Follows tried a different tactic. “When it came to researching how many of them actually illegally download movies I felt I needed to be a bit sneaky,” he told TF. As can be seen from the diagram, 39% of the industry respondents admitted to illegally downloading video content, with 61% claiming never to have done so. Interestingly, respondents working on lower budgets were more likely to have illegally downloaded than those working on big budgets. “Only 2% of people working on films over $10 million admitted to illegally downloading a film or TV show, compared with 65% of those working on films under $1 million,” Follows explains. 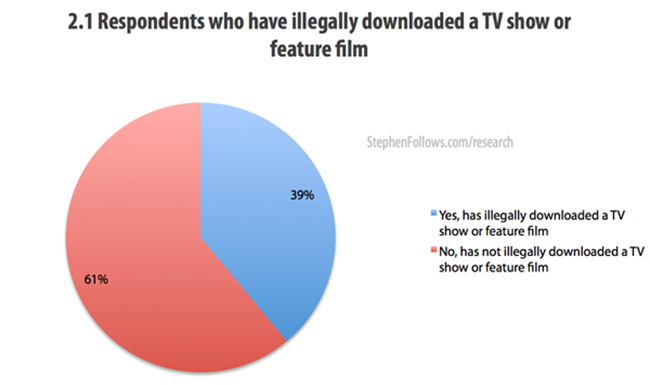 Also of interest is how the percentage of those who admitted illegal downloading fluctuated according to industry sector, with 55% of those in marketing saying they have grabbed movies or TV shows without paying versus zero percent in exhibition (movie theaters). Sales and distribution, the sector that said they’d been most affected by piracy, accounted for the next lowest piracy ‘confession’ rate of 28%. “These are the middlemen behind the scenes of the industry who negotiate the rights between producers and cinemas/retailers. They are part of the reason why there are so many damned logos at the start of every movie,” Follows explains. so in short people who are making films and tv shows are downloading content, maybe NOT everyone is but a LOT ARE!